I like SoundCloud! I finally uploaded all my voiceover samples into an album. Enjoy at your leisure. Had Lunch with Jared Evans! 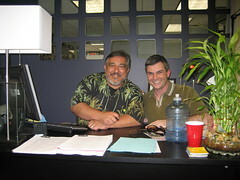 Today, I took a voiceover workshop with Nick Omana. I got a lot of time at the mic because it was a small class. Nick taught us about vocal “colors”– an interesting approach to character work using color symbolism as a frame of reference. We practiced approaching the same copy with various attitudes which was a fun way of exploring character and emotion in reads. 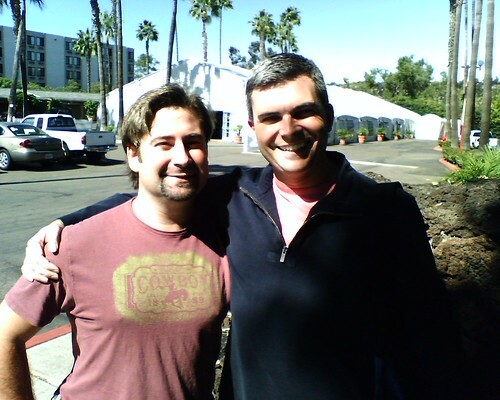 Here’s a picture of me with Nick Omana at the Ford Robert Black Agency in Scottsdale, Arizona, where the workshop was held. I was born into a family that appreciated the arts, and I got an early start at singing. My first role was Jerome in South Pacific at Camp Saskatchewan in the Adirondack mountains of upstate New York when I was eight years old. When my family moved from New York to San Diego when I was ten, I was fortunate that the San Diego School of Creative & Performing Arts opened its doors only months later. I attended SCPA from sixth grade through high school graduation. From there, I went to UCLA to study Theatre Arts. I learned a lot about theater but wasn’t ready for college, I guess, so I worked in LA for a while before moving back to San Diego. Then I realized I wanted to learn ASL, so I went to Mesa College, lived with a deaf man, and in a couple of years I became an interpreter. ASL interpreting has been my day job since 1990, but I have continued to involve myself in the performing arts. I have performed in straight plays, musicals, operettas, and even opera. I have trained in voice acting (a.k.a. voiceover) and on-camera acting and have some voiceover and student film credits to my name, including one voiceover/camera commercial. I have studied singing under several singing teachers including Dianna Ruggiero, Stephen Crawford, and Dan Hooper. My most recent performing arts experience was singing in the opera chorus of Aïda with the Phoenix Opera in February 2009. When not performing on stage, I use my YouTube channels azsingersigner and danieljamesgreene as an outlet for singing and a do a lot of photography that I share on Flickr. 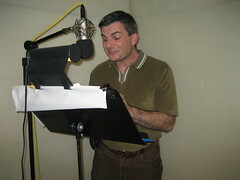 In 2003, I began an earnest study of voice acting with The Commercial Clinic in San Diego, CA. I have a Commercial, Corporate, and Audiobook voiceover demo. 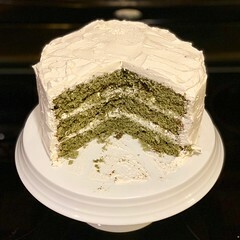 If you would like to hear it, please contact me. I first explored voiceover work when I played the title character in The Invisible Man radio drama at the San Diego School of Creative & Performing Arts when I was 11. One of my voiceover mentors, Penny Abshire, wrote a lovely testimonial of my work. Thanks, Penny!